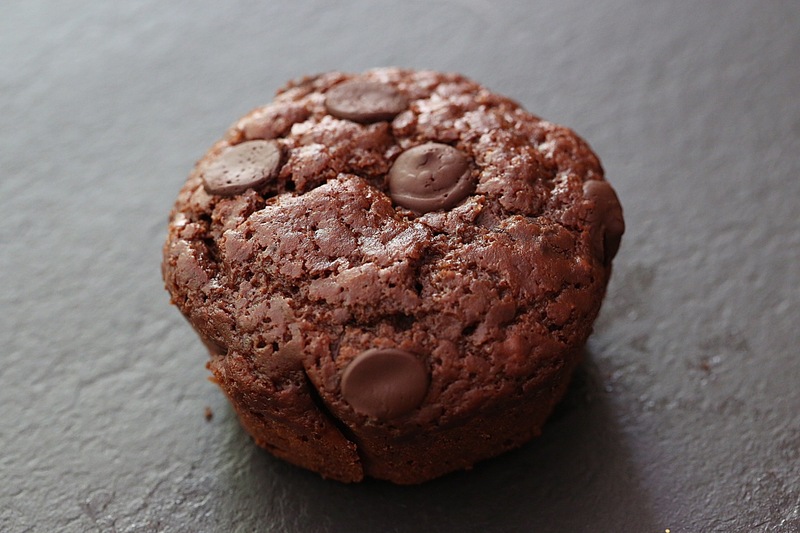 Muffins are a great choice for children or novice bakers, or any time you want some sweet and satisfying quickly. They take very little time and effort to put together and only take a short amount of time to cook. 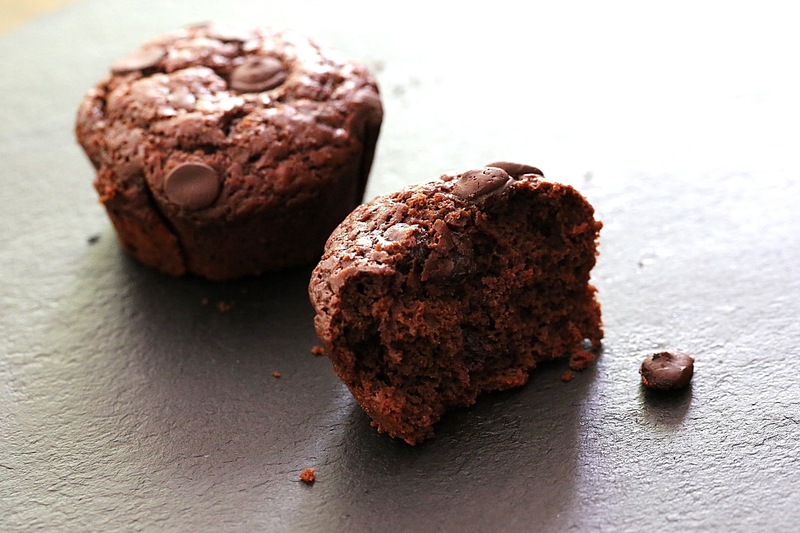 I’ve been thinking for a while that it would be useful to have a basic muffin recipe that I could simply tweak, depending on what I wanted and had available in the pantry. It’s been on my to-do list for some time and for once my procrastination has paid off. I came across this recipe in the Taste supplement in the newspaper that suits this purpose perfectly. I didn’t even have to do a Google search! Mix the wet into the dry ingredients, taking care to not over mix. Divide the batter between about 12 large muffin cases. Bake at 180C (350F) for about 20 minutes. added 1/2 cup chocolate chips, 1 teaspoon vanilla extract, 1 large and seriously over ripe banana (thoroughly mashed). Even though the banana was very over ripe the banana flavour surprisingly wasn’t very dominant however it did give the muffins a lovely moist lusciousness. In a way this was a little disappointing. I added the banana because I don’t care for banana flavoured cakes and I thought this was a clever ploy to ensure that these muffins would be left for my children. Well, it hasn’t worked out that way; I’ve eaten three today! Posted in Cakes & MuffinsTagged banana, chocolate, food, food photography, muffins, vegetarianBookmark the permalink. That’s a nice easy review to remember thanks! I am savoury fan so I love adding any veges I want to use up! Feta and onion or feta and spinach; corn and chives; mozzarella and bacon if you like meat; or super cheesy with mozzarella and Parmesan; pumpkin and feta with pine nuts …the list goes on! Ooh I think chocolate would have to come pretty high on the list! I also love blueberries in muffins, and crushed hazelnuts! So many great flavours – it’s hard to pick a favourite but I usually opt for chocolate too!